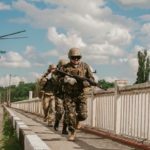 30th Mechanized Brigade, after 30 months break, returns to Donbas. Savur Mohyla, Debaltsevo, Logovino… just a few of many battles the unit participated in. Volunteer battalion Goryn (previously 2nd Territorial Defense Battalion) is part of this unit. Azov Regiment left Donbas in 2015, after the tense battle of Shyrokine. During the years in the rear, the regiment organized several large scale exercises and protected public order in several towns in Zaporizhia Region. Azov will assist to 30th Mechanized Brigade with combat tasks and defence of forwarded positions alongside contact line. Deployment of National Guard unit to the contact line is a rare case, other units are usually deployed to the rear. 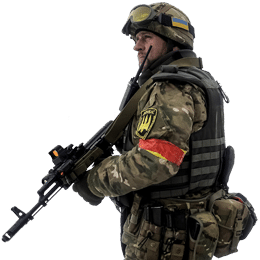 On the other hand, Azov is probably the most experienced unit of the National Guard. The deployment was announced by spokesmen of 30th Mechanized Brigade and Azov Regiment.